The Royal Wedding between Prince Harry and Meghan Markle is almost upon us, which means the final preparations are no doubt being tweaked and finalised at this very time. No doubt the day will involve a beverage or two, but what beverages remains to be seen, with scant information being given out ahead of the day. To help out the special couple we’ve put together our cocktail timeline on what we’d serve and prepare for everyone – Harry and Meghan, we’re available for hire if you need us! The official service begins at 12pm on May 19th, with the bride supposedly arriving to the steps of St George’s Chapel in Windsor at 11:59. However, before both parties descend upon the chapel, we’re sure that both will want to have a sip or two for a bit of Dutch courage and morning fun. 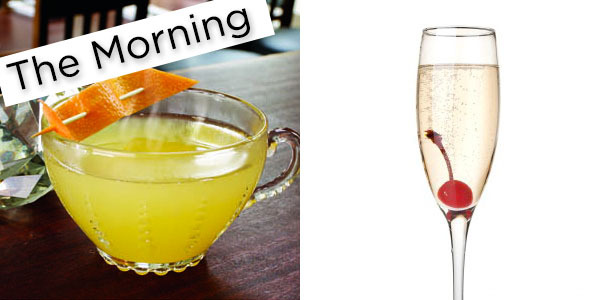 For the bride we’ve chosen the classic French 75 cocktail as she gets ready in the morning with her bridesmaids and friends. Nothing too serious yet, champagne obviously for the occasion, with a hint of lemon juice to give her the wake-up kick. For Prince Harry we’ve gone for the appropriately named English Breakfast. Created by Ron Oliver, at The Diamond in Vancouver, it isn’t too potent for the morning activities, and with a waking kick of grapefruit juice, it will be a good sipper while he dons his attire. It also helps that it’s delicious. After an hour service the couple are spending an hour in The Royal Carriage going around Windsor and waving to the 100,000+ crowds that are reportedly going to be in the city. Finishing up along The Long Walk towards St Georges Hall for the first of two receptions, the drinks can’t be too complex. 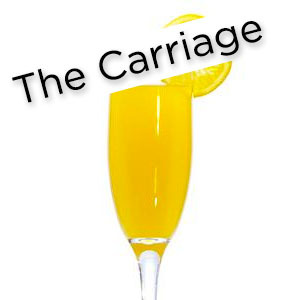 Being in a carriage, they’ll need glassware and a mix that’ll survive a bump or two. For our choice here we haven’t gone too far from morning drinking tradition and opted for the classic Mimosa. Easy to pose with, traditional with the champagne forward base, decadent and delicious, the mimosa will go down really well with the sun out and a long ride around the town. Just be warned, a few of these can go down quickly and the day is still young. The first of two receptions, this one being hosted by the Queen and having 600 people attend including invited members of the public, we’ve opted for a combination of 5 cocktails here to suit all tastes and weather. In the 180ft long room traditionally used for state banquets, you need a champagne cocktail to welcome guests with. Being the Royal Wedding why go basic though, Harry and Meghan have got a chance to mix it up a bit, and for that reason we’ve chosen the White Wedding Cocktail. Although the colour of the dress is as yet unknown, this signature cocktail by The Designer Cocktail Company is a wonderful mix of champagne, lemon bitters, absinthe, vodka and coconut. Although it sounds potent, the portions are small enough to create a great blend without knocking your socks (or garters) off. For those looking for something a little easier on the palette, you can’t beat a classic Mojito, and we’d have a host of these available for people looking for an easy drink after the original White Wedding mix. Not wanting to veer too far from tradition however, no wedding reception in England can be held without the classic Pimm’s and Lemonade on offer. Get some fresh zingy fruit, mix with the Pimm’s and top up with lemonade – delicious and nothing too serious for people wanting to hold back the drinking affair. The flowers for the day are being designed by Philippa Craddock, and chosen from the pollinator-friendly properties at the Crown Estates and Royal Parks, and so we’re going to throw in the Honey Bee cocktail as an option here. A simple well balanced blend of ingredients, the combination of rum, honey and lemon juice is a great combo and gives a little salute to our pollinating friends. As the day progresses, and before the couple move onto the more intimate reception #2 at Frogmore House around 6pm, food and drinks will be served. We obviously expect wine and beer to be on offer, but we’re going to throw a special celebratory cocktail into the mix during the cake ceremony – The Champagne Pomegranate Fizz. Keeping the champagne theme going, this cocktail includes lemon juice, gin, pomegranate and elderflower, which will marry up beautifully with the Lemon and Elderflower wedding cake being baked by Claire Ptak from east London. A match made in heaven. As the day draws into evening, and as the couple move onto the second reception for 200 close family and friends at Frogmore House, the celebrations can really kick off. As guests arrive they have already had 7 to 8 hours of fun and excitement, and so might need a small pick me up. We’ve plumped for the very in vogue Espresso Martini as a welcome drink, combined with The Raspberry Lift-off for those wanting to carry on their champagne journey. Both simple and not overly complex, the guests can enjoy the drinks without having to work their palettes too hard. Information and news of the evenings activities are scarce, but we’re going to throw our final 3 cocktails into the (wedding) ring here. Firstly it would be rude not to mention the newly arrived Prince Louis, and every guest should have a Prince Louis cocktail ready to go to toast the Royal baby. With a kick of coffee in here as well, the cocktail will give everyone that little perk before the night’s frivolities can really begin. As the food is served the guest might want to hold back on the alcohol consumption a little, it is still early doors, but it will soon be time for Prince William to start making his speech. Alongside the groom’s speech it is rumoured that Meghan herself will break from tradition and make a speech to the families and friends – a move we are very much in agreement with. With all wedding speeches comes a lot of thanks, cheers and toasts however, and alongside the traditional champagne for these, we are going to recommend the appropriately named Royal Cosmopolitan. Taking the ever-liked Cosmo and adding a champagne twist, this delightful drink will be enjoyed by all, and perfect for toasting and sipping away on. It’s tradition to have a coffee or tea after the food and speeches, but why go normal on a such a special day and occasion. Alongside the more mainstream drinks, offer up a Calypso Cocktail. Using rum as its base, which marries up beautifully in hot drinks, this Ron Oliver devised drink could be that special twist that the wedding goers are looking for. Serve it in the Royal’s best china and you’ve got yourself a stunning and delicious after food talking point. By this time we suspect that if all the guests have been following our drinking advice, they might want to dance the drink away for a while, but for those wanting to chat away over something a little more refined our final two cocktails should have just the right mix that you’re looking for. Champagne drinking is over, bring on the hard hitters for the late night chats. First up is the wonderful Comte de Sureau. Watch out, one of these should be enough to last you a while, but it is a wonderful way to finish an evening. For those looking for something that might not kick them back a day or two, then why not finally try the Early Grey Martini. 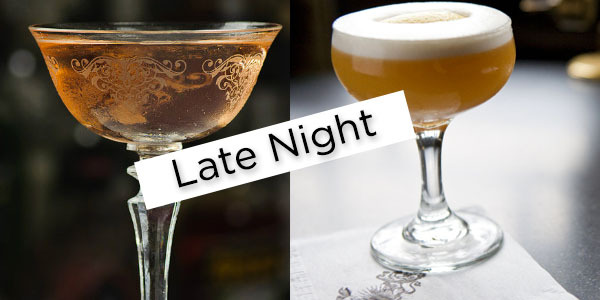 Taking Earl Grey tea and combining it with egg white, lemon juice and a splash of gin, this little number isn’t overly potent, gives you that late night cup of tea surge, and will help you enjoy the night away. Learn how to create all these drinks and more on our site. Go wild and create a couple yourself on the special Saturday and join in the celebrations.